Thanks for the comparison. Ed's right: that dip is subtle, and the tie spacing is much improved. 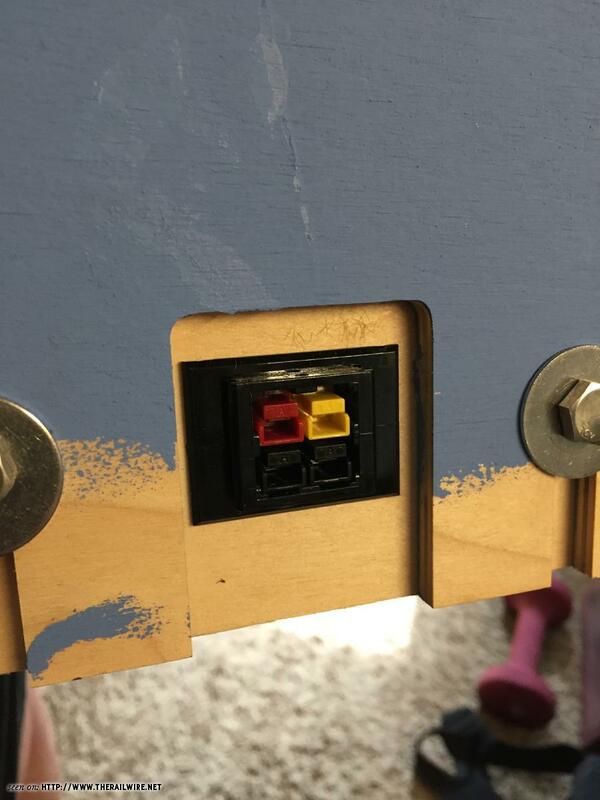 Paint should really fool the eye, as it did on @arbomambo's module pictured above. Are the track centers on the double-track piece the correct dimension for T-TRAK? If so, that makes the placement of the track for fitment to adjacent modules a little easier. Now, let's talk wiring. What are the standards? Is there a bus wire that needs to be installed on each module, and, if so, what are the connectors for between modules? Wow talk about a visual improvement. Will keep this in mind for a diorama I’m building. TRW knowledge base strikes again. 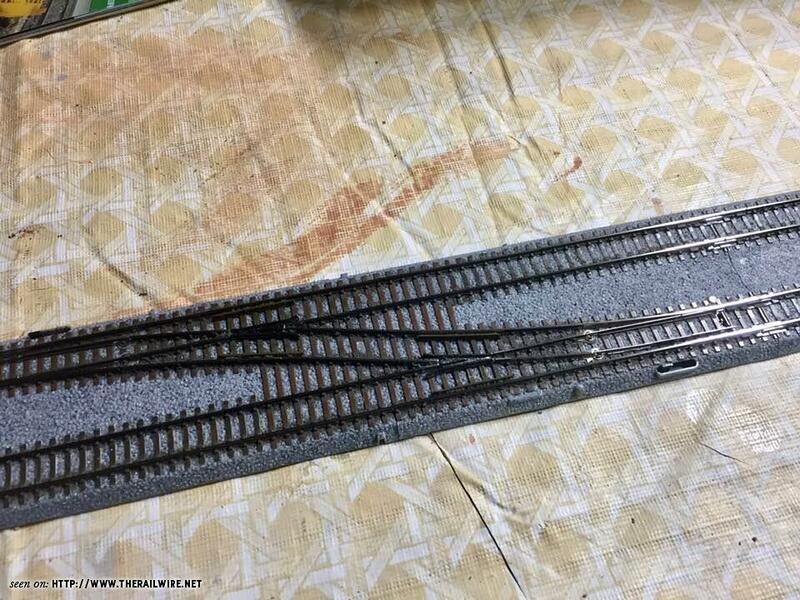 I've mixed track on a module, and, as long as the track is painted in a similar manner, the difference in tie spacing isn't obvious. Here is another example of painted concrete tie Unitrack to resemble wood ties. I'm building a crossover in the Southwest NM Mother Road series on a double. On this one, the highway will curve and disappear 'off' the rear of the module. Soon, I'll build another where the highway re-appears. This way, at a set up, I can insert Southwest modules like my 'Arbo Canyon', and others that don't feature the highway, and give the setup some visual continuity. T-Trak buses are outside the modules so you need not worry about that unless you are doing an entire T-Trak layout at home. The only wiring you need to be concerned about is the feed to your module(s)'s tracks. The more common standard there is Kato's Unijoiner that terminates in mini Tamyia connectors. They are then connected to the bus outside the module(s). The rare ones use Anderson PowerPoles but that requires a whole bunch of support equipment like special crimper and the connectors/housing themselves. Well, that burst the bubble. I'm planning on a double module, and there will be no turnouts on my module. It doesn't make sense to mix concrete and wood ties on the same module of merely straight track pieces. Yours are disguised by the turnouts. I'll just have to go with wood ties then. 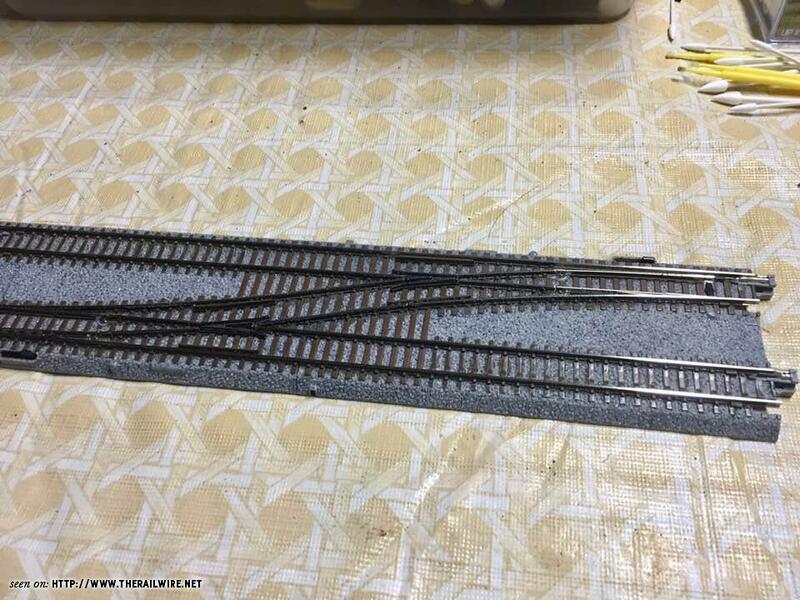 Since length is apparently not a standard on Unitrack, does the double track (wood ties) pieces also match up with T-TRAK standards? That makes it stupid easy. Thanks! My parts list is growing. Hopefully, I can pick everything up at the show this weekend. 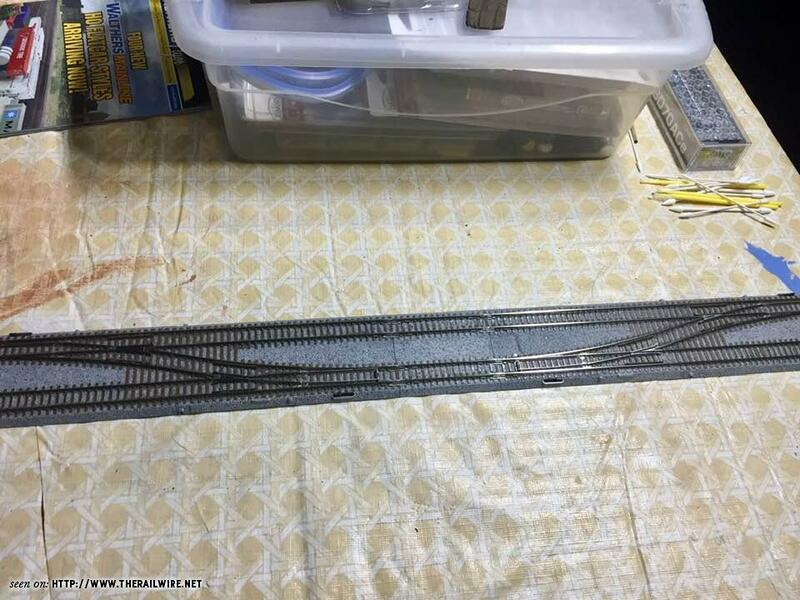 Couldn't one cut out a small section of material out of the track for the length of the overall discrepancy and slide/glue the two halves back together, then trim off the excess rail to meet the standard? might affect one tie spacing a bit, but its already been agreed that the tie spacing, given or taken in small bits, is not that visually offensive. T-Trak buses are outside the modules so you need not worry about that unless you are doing an entire T-Trak layout at home. The only wiring you need to be concerned about is the feed to your module(s)'s tracks. The standard there is Kato's Unijoiner that terminates in mini Tamyia connectors. They are then connected to the bus outside the module(s). However, many (most?) 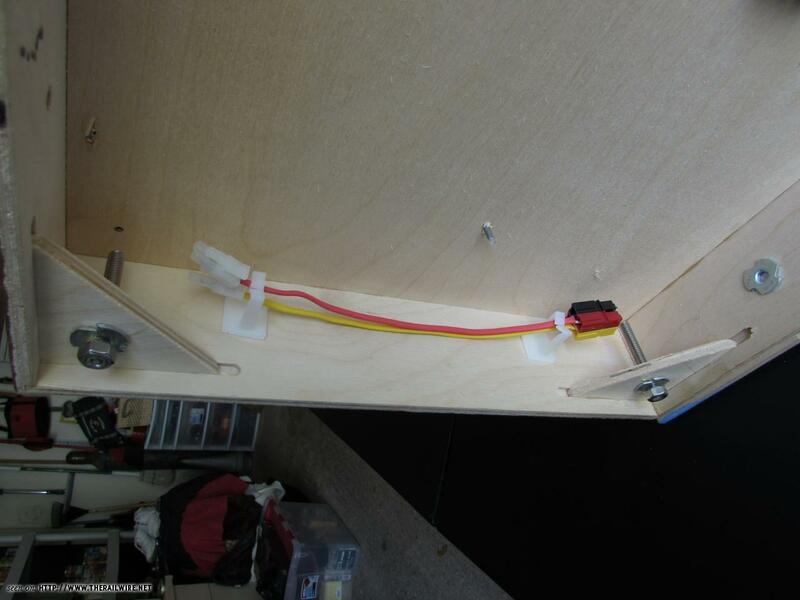 groups/clubs are placing their wiring underneath the modules, requiring the modules to be pre-adjusted to a agreed upon pre-determined height above the table. Our group prefers the have our wiring interface in the rear of each of our 'powered' (wired) modules...(not every module needs to be wired...but, just like a home layout, a good practice is to have a wired module, with feeders/drops, situated every 3-4 feet in a setup) I power just about every module I build. 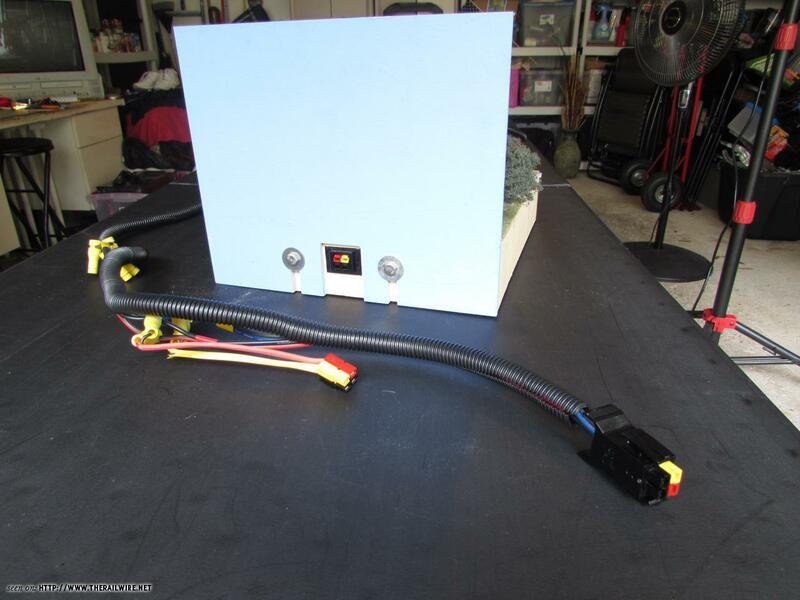 And, since we like our modules to be 'tidy' and 'neat' when transporting and setting up a layout, we've adopted using the Anderson PowerPoles as our module/bus wire interface; wiring the Unitrack drops into a quad PowerPole cluster, contained in a panel mount in the rear fascia. 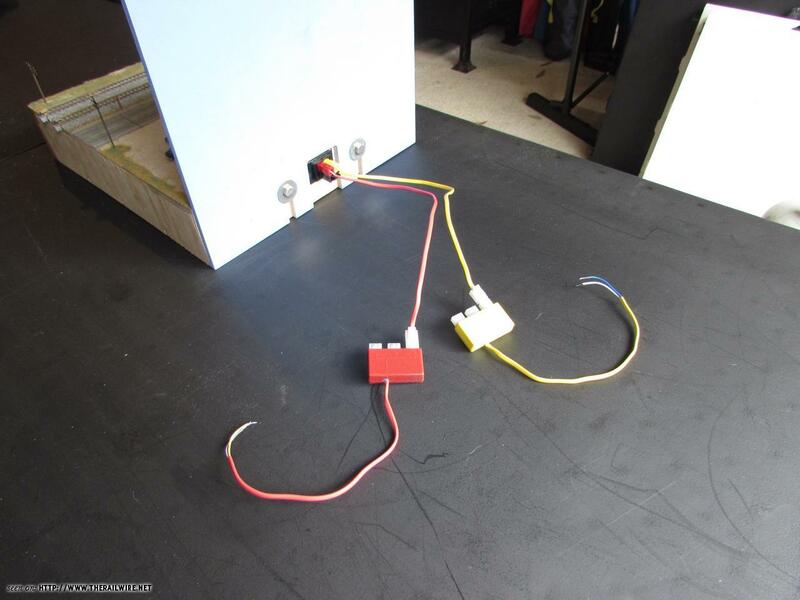 Our club bus wire ( 10' length of 12 Gauge loomed wire) has the 'male' equivalent of the PowerPole cluster tapped every three feet...Makes Module-to-bus wire connection rapid and simple, while keeping module wiring self contained/tidy. Here is the reason we like using the PowerPoles...no hanging wires...neat and tidy. 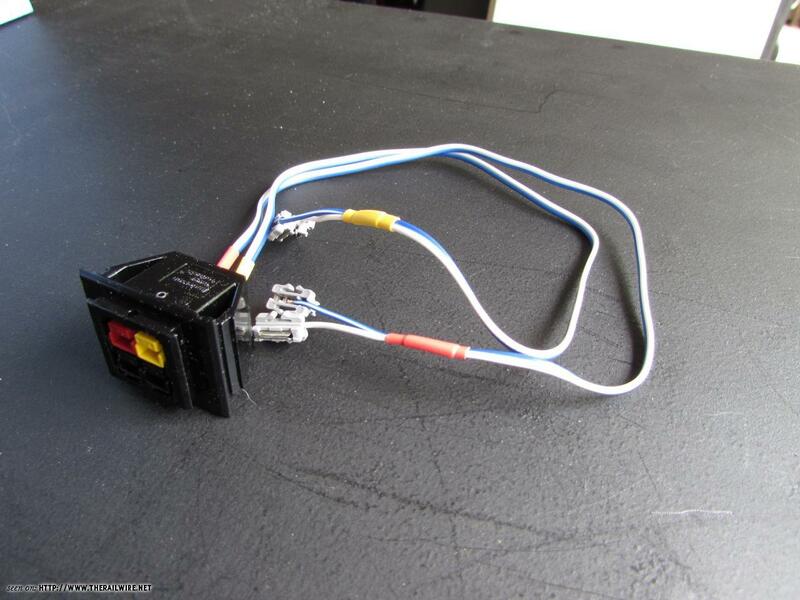 at this point you're probably confused...didn't we just say that the standard T-TRAK connection, to a bus wire system, are the Kato (Tamiya) connectors? 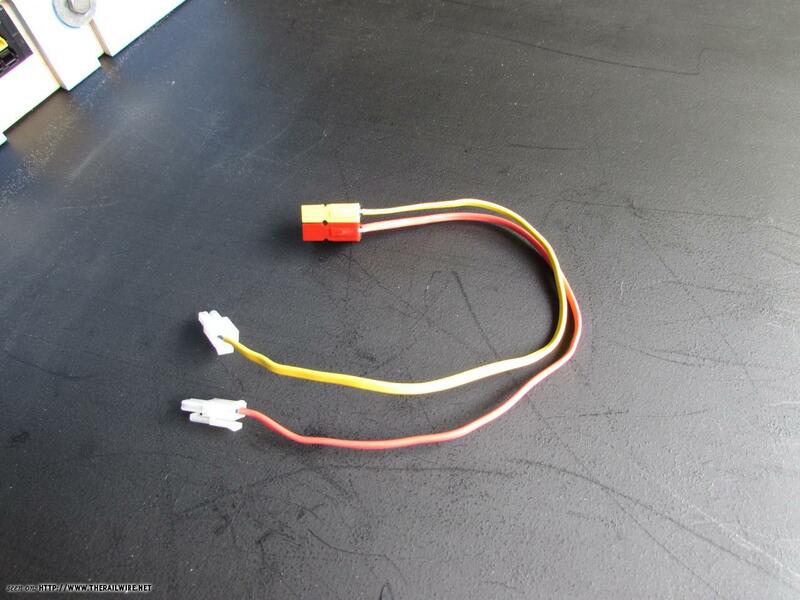 So, because we do understand that the Kato connector is the standard, AND, we want to 'play nice' with the rest of the T-TRAK world, we have 'PowerPole-to-Kato pigtails available for every powered module we have in our club/group. They plug into the rear of our modules, convert the PowerPoles back to Kato connectors, and allow our modules to plug into any standard T-TRAK bus wire (equipped with Kato three-way receptacles. No...bubble isn't 'burst'...on a double, the length difference isn't disqualifying...there is still a minute amount of 'overhang', on each end, with the Double track Unitrack (concrete ties)..the overhang is critical in T-TRAK, as it is only the Unitrack that connects the modules to each other. so, although there may exist a 'gap' between modules in a setup (albeit a small one), it is imperative that the Unitrack ends be able to positively click completely together...A double, with double track concrete tie pieces still allows this...a triple and worse, a quad will require an alteration, as suggested above. 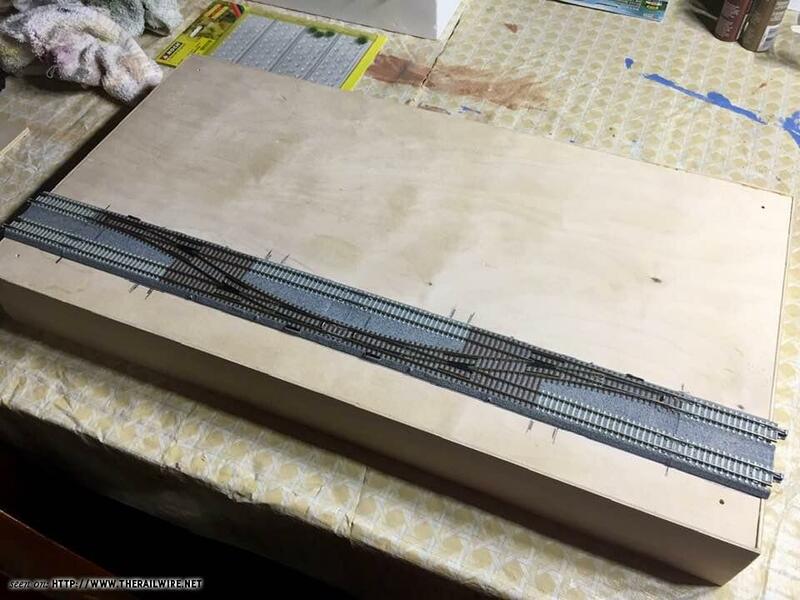 Probably, but I'm going to have at least two road crossings, so the track won't be so visible that it will be worth all of that effort, especially since it very likely could be plugged into another module with standard Unitrack anyway. 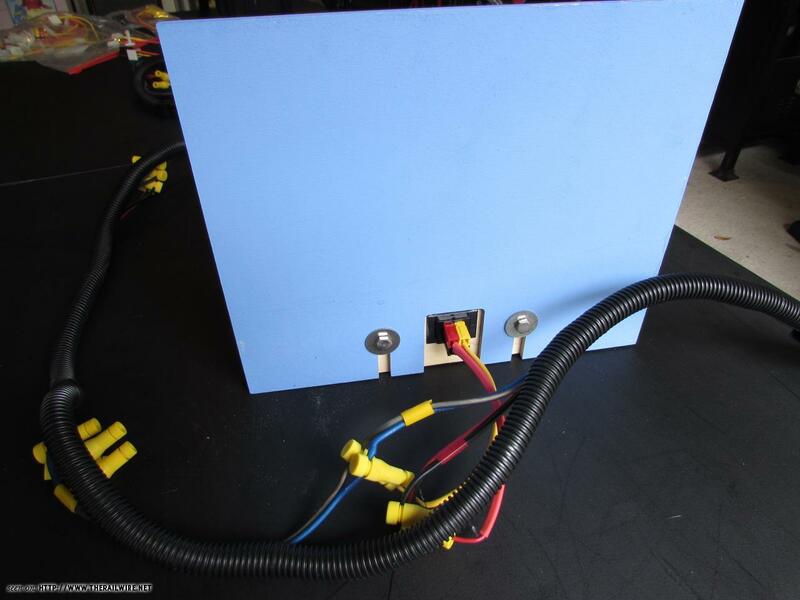 Here's an excerpt for the Unofficial T-Trak Handbook on track wiring/powering and how the blue and white wires are connected. 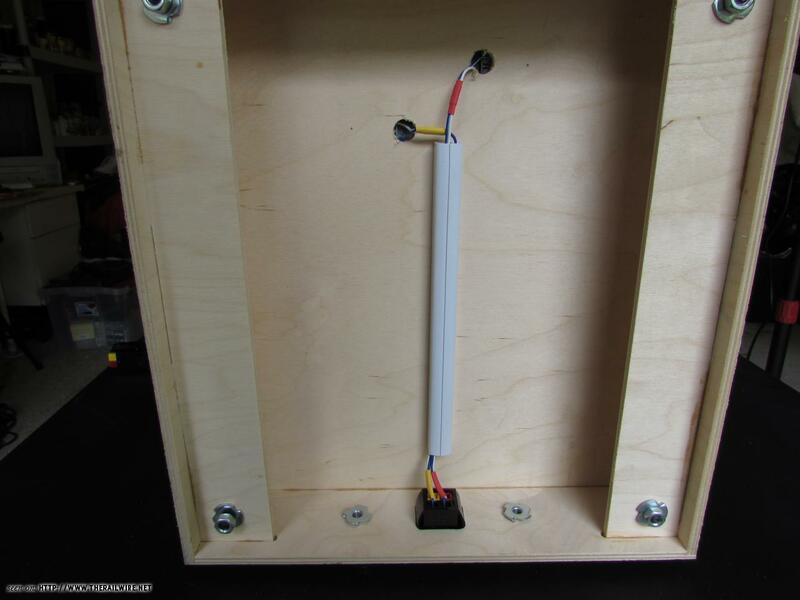 If you are just starting, use the Kato connectors and let the club/layout you are running with provide the Kato <-> PP adapters if they should go with a PP standard (as Bruce illustrated above). 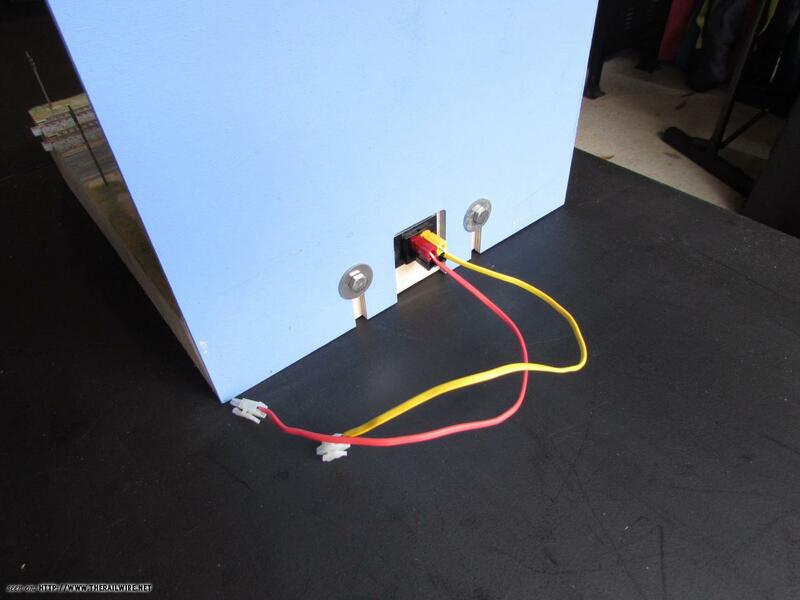 Our club uses the Kato connector as standard with the bus wire running behind the modules and not under. Yeah, just drop a pair of feeder joiners down (pay attention to the polarity) and you're golden. I really love what Bruce's club does to clean up the potential mess of the wires, that's slick, but part of what I like so much about this format is it's "snack" nature. That stuff all feels like a "meal". Ya know what I'm sayin? 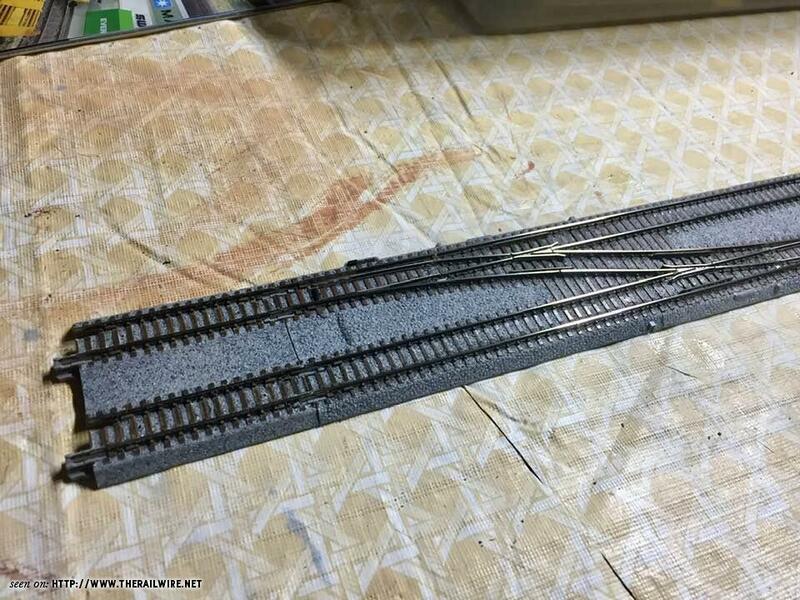 A light spray of brown or gray paint, in between the rails to simulate accumulated oil and dirt, will reduce the contrast between ties and ballast and painting the sides of the rails a dark, flat brown color will hide their shine.